At Eagle Transmission Shop Rowlett our motto is “The One To Trust.” That’s not just some commercial slogan we came up with. It is in fact a principle whereby we, at Eagle Transmission, run our business. We know that you have a choice, and we strive every day to provide top notch professional service on each repair. We build transmissions to last. Our proven track record in service and customer satisfaction is a big contributor to our success in becoming one of the largest and most successful transmission franchise operations in the state of Texas. We’d like to believe that there is a good reason why our business has so much repeat and referral customer business. We offer free road test and computer diagnostics. We work on Standards & Clutches, Automatics, Front wheel, 4 Wheel, RV’s, CV Axles, Domestic, Imports, Light and Medium Duty Diesel Trucks and Diesel Auto Transmissions. 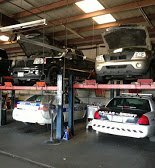 We offer a wide variety of services such as transmission repair, differential gears service, driveshaft repair, transfer case repair, just to name a few. We know how important trust is…it’s one of the most valuable things one can have or lose. That’s why we work hard to not only earn your trust, but keep it for life! We want to be your “Go To” service provider for all of your automotive needs. After all, your vehicle is your pride and joy! to recieve additional benefits on your repair! A transmission repair could be a troublesome and expensive venture without the proper technician. At our Eagle Transmission shop, we thoroughly assess each transmission issue as well as operational restrictions that might compromise your vehicle performance. All repairs are managed by our expert technicians and certified mechanics. Eagle Transmission offers a comprehensive quotation for repairs. Additionally, we handle automatic transmission repairs. Our skilled solutions guarantee your repairs are conducted with a warrantied high standard of workmanship. In addition to transmission repair, Eagle Transmission is well-equipped to rebuild your transmission if necessary. You can trust in our highly-trained technicians to take care of your transmission and get you back on the road. A transmission rebuild consists of taking the transmission apart, replacing and repairing any broken or malfunctioning parts, and putting it back together according to manufacturer standards. 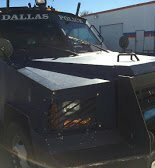 This is a specialized task and should only be performed by a qualified transmission repair and rebuild technician. At Eagle Transmission, we pride ourselves on maintaining a reputation as a trustworthy and respected resource for all of your transmission and general automotive needs. We have over 35 years’ experience in delivering innovative solutions for all transmissions. From repairs to rebuilds, we provide custom solutions for all makes and models. Our promise is to provide repairs of the highest quality, backed by our 3-year, 36,000 mile warranty. You’ll have peace of mind, knowing that your transmission is in the best hands. Our goal is to earn exceptional client satisfaction with our quality repairs and fast service for all vehicles. As the number of cars on the road increases, so too does the variety of makes and models and the need for a reliable, trustworthy automotive shop. 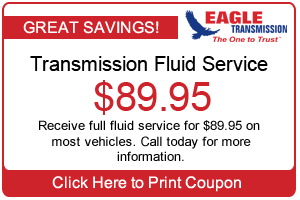 Eagle Transmission is here to fill that need. It is important for car owners to bring their vehicles in for regular maintenance and diagnostics to ensure they are running at peak performance. Unfortunately, many car owners neglect their vehicle’s regular maintenance schedule, only visiting an auto shop when a problem arises. Maintaining the health of your vehicle, even if there isn’t anything wrong, can prevent any serious issues from occurring and lengthen the life of your car. Purchasing a new vehicle is a big investment. Protect your investment by giving your car the best possible care with Eagle Transmission Rowlett. Your transmission is a vital part of your vehicle and consequently, issues within your transmission can be among the most pricey to repair. Whether automatic or manual, the transmission requires expert care and a qualified, experienced technician for any repairs or replacements. Don’t trust just anyone with the care of your transmission. Eagle Transmission has a proven track record in quality transmission repairs and replacements, backed by our 36,000-mile warranty. 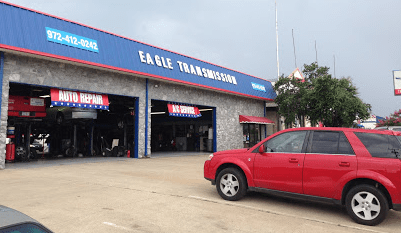 If you’re trying to find a reliable, reasonably priced automotive repair shop, look no further than Eagle Transmission of Rowlett. From brake repairs to engine tune-ups, we are here for you! Whether you need a simple tune-up, a thorough diagnostic, or a repair, our qualified technicians are ready to provide reliable, honest service. Customer satisfaction is our priority. Gone are the days of wondering if you’re getting the best repairs at the best price. 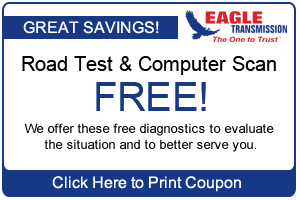 At Eagle Transmission, we provide you with the most comprehensive diagnostic scan using state-of-the-art computer technology. You’ll receive a full run-down of only the repairs and maintenance services you need and none of the ones you don’t, saving you time and money. 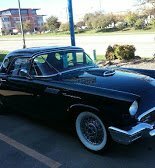 We at Eagle Transmission Rowlett know that your vehicle is important to you, and that’s why we make it a habit to care for your car as if it were our own. Our mission is simple: to provide an exceptionally great experience for all our customers in need of automotive repair and maintenance. 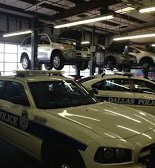 For over 35 years, our car care professionals have been doing just that all over the state of Texas. During that time, Eagle Transmission has serviced a variety of vehicles and proven time and time again that we truly are The Ones to Trust for your automotive needs. If you want peace of mind and confidence in your mechanic, give Eagle Transmission a call. Diagnostics don’t have to be expensive. Eagle Transmission shop Rowlett offers FREE initial diagnostics. We conduct a thorough exam of the entire vehicle, including the transmission, and provide you with a full repair and maintenance plan and a reasonably-priced quote for all necessary services. Our diagnostics include checking for any trouble codes by connecting your vehicle to our state-of-the-art computer systems, as well as a test drive to ensure that your car is running the way it should. Our shop can provide a flush of your vehicle’s system. The good thing about a flush is that it helps to clean out any particles within the engine and clears the filters and hoses. This is a good measure to take to prevent unnecessary damage to the system. Eagle Transmission in Rowlett will assist you in keeping your maintenance costs low while ensuring that your vehicle is running properly. It’s important to choose an expert automotive shop that guarantees the work it performs. Eagle Transmission technicians are highly qualified. We are prepared to provide service and repairs of the highest quality, using our many years of transmission knowledge and expertise. We are a member of the Automatic Transmission Rebuilder Association (ATRA). Being connected with this organization ensures that we adhere to the service and repair expectations found in the ATRA bylaws and Code of Ethics. When you need your engine repaired or serviced, turn to the experienced technicians at Eagle Transmission of Rowlett. From driveline repair to electrical problems, you’ll feel confident that you’ve chosen The Ones to Trust for quality engine repairs. Eagle Transmission focuses on complete maintenance, repair, and rebuild services for engines and transmissions. For over 35 years, car owners throughout Rowlett and surrounding counties have trusted our trained mechanics for the most reliable engine and transmission repair service. Don’t trust your vehicle’s engine or transmission health to any mechanic. Let the Rowlett Eagle Transmission team ensure you get the correct repairs at the right price. Discount on Major Repair $125 Off Today! Hurry up while the Offer still lasts!